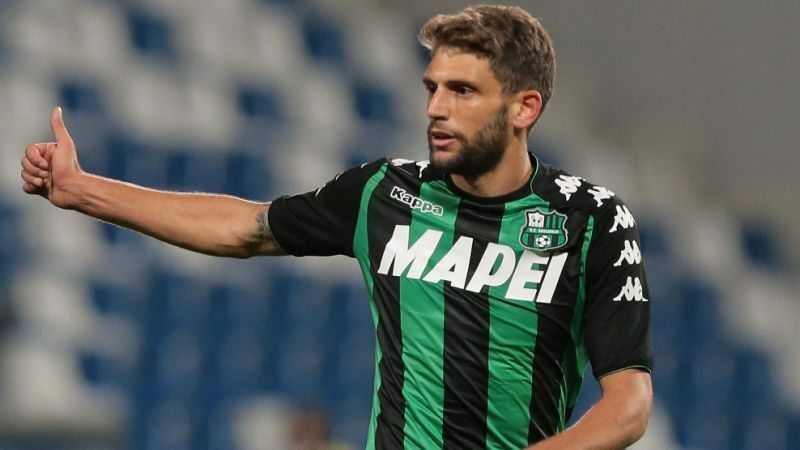 AC Milan have asked that Sassuolo winger Domenico Berardi be included in negotiations that would see Manuel Locatelli join the Neroverdi. The 23-year-old has been a Milan target for a number of seasons and could join Matteo Politano and Genoa-bound Luca Mazzitelli in leaving Sassuolo this summer. Sky Sport Italia reports the club’s intention to have Locatelli and Berardi move in separate directions on loan, but both parties differ in the implementation of permanent deals. Milan want to avoid a deal that would make them obligated to sign Berardi at the conclusion of the season, while Sassuolo remain insistent on making both deals permanent. Berardi would more than likely arrive as a replacement for Suso should the Rossoneri see fit to cash in on the Spaniard.